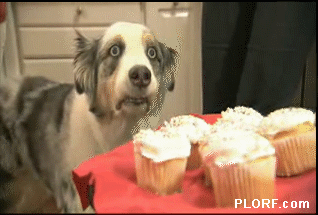 Cupcake Dog – I'm fairly sure no one is reading this. The dog knows his body can’t process them. That’s what I look like when faced with a plateful of white frosting covered cuppy cakes full of goodness. Previous Previous post: Can we make this official?